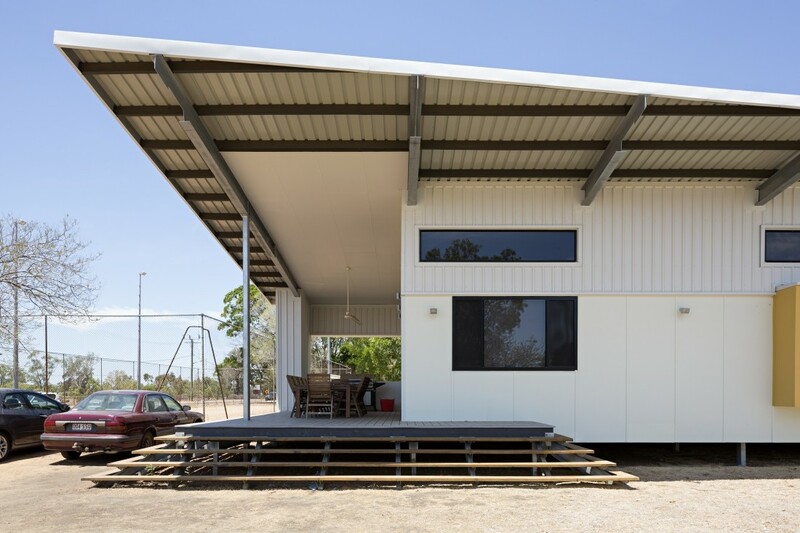 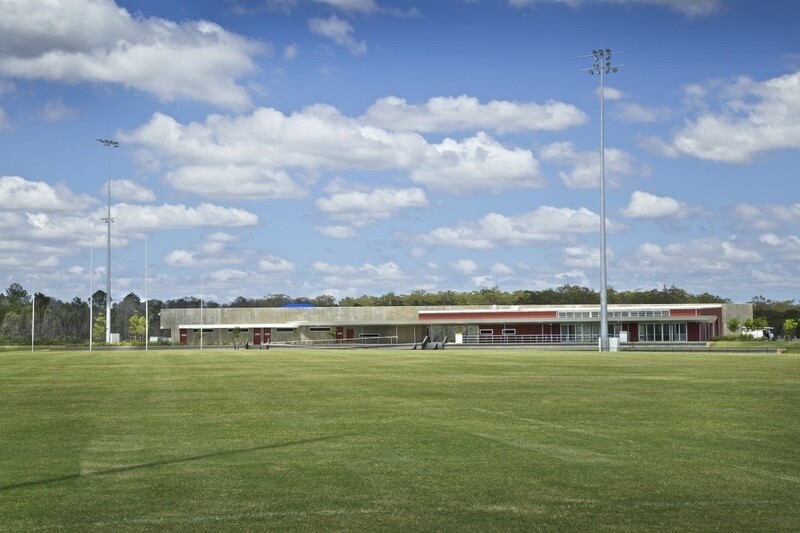 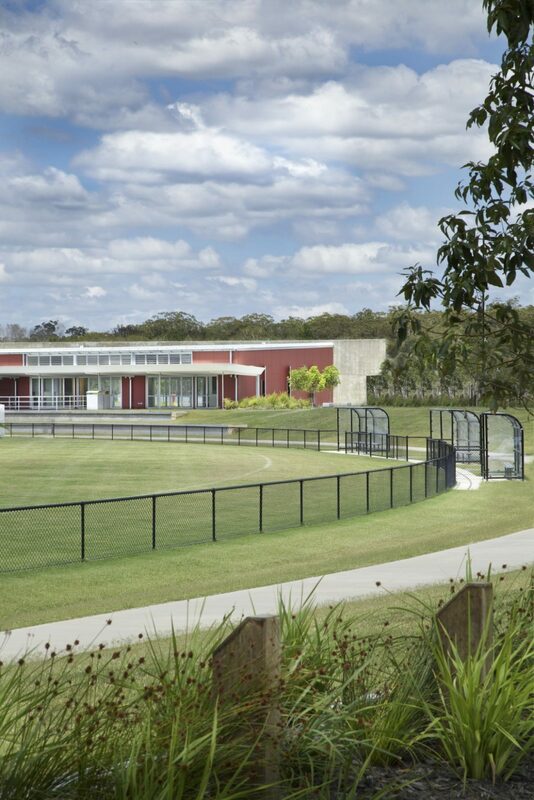 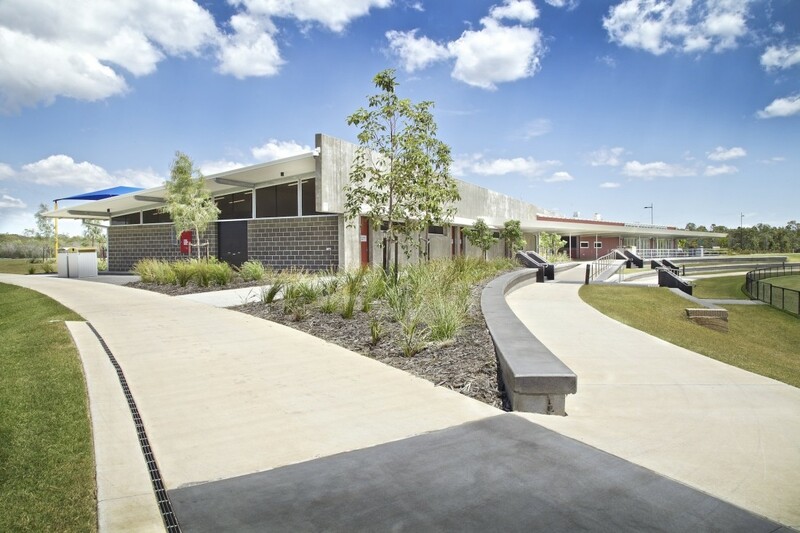 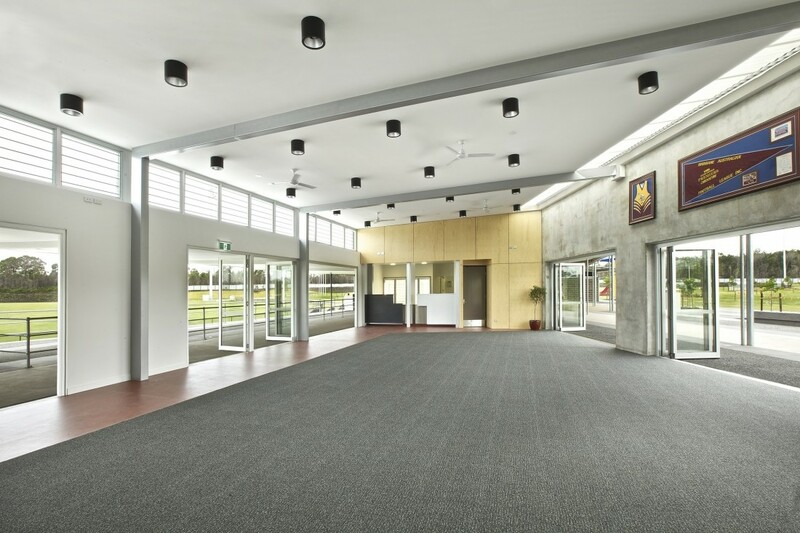 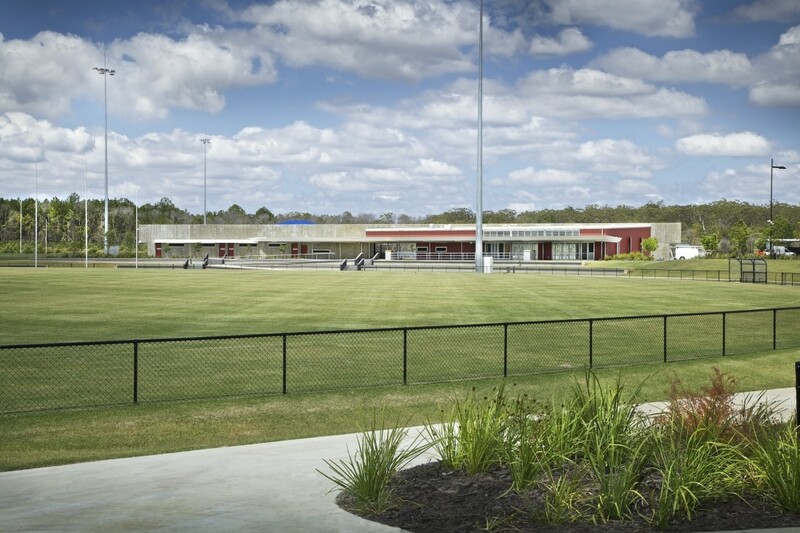 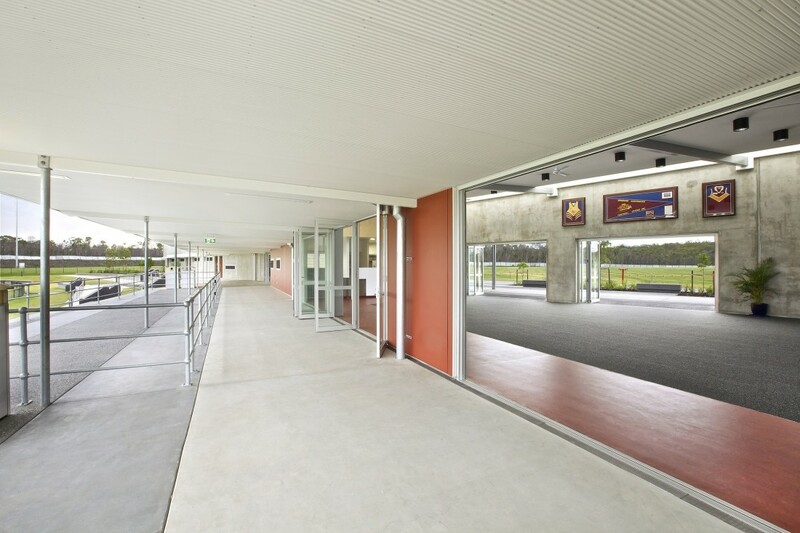 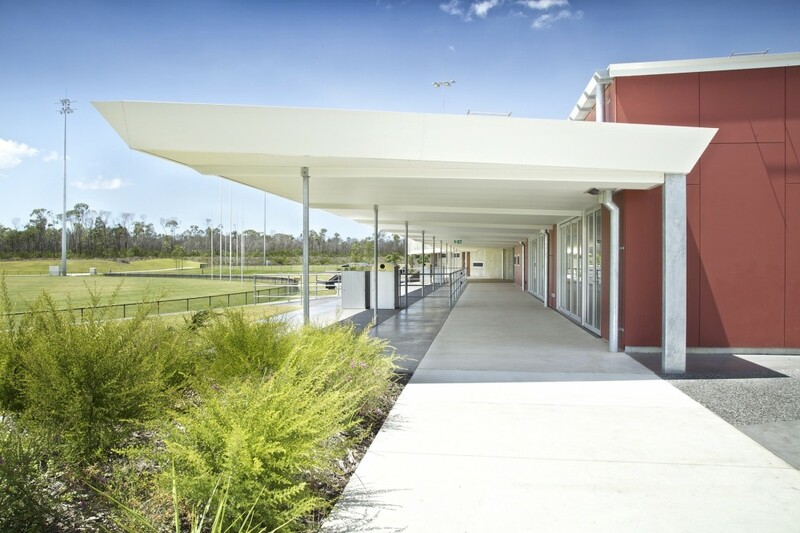 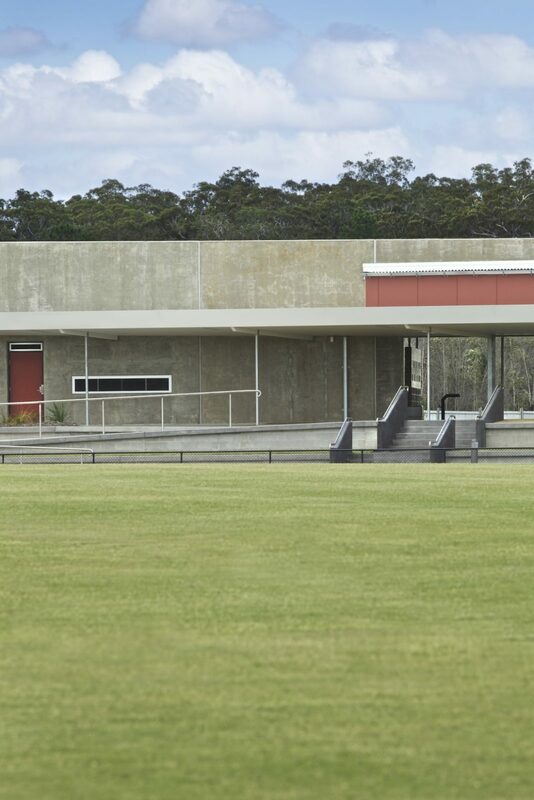 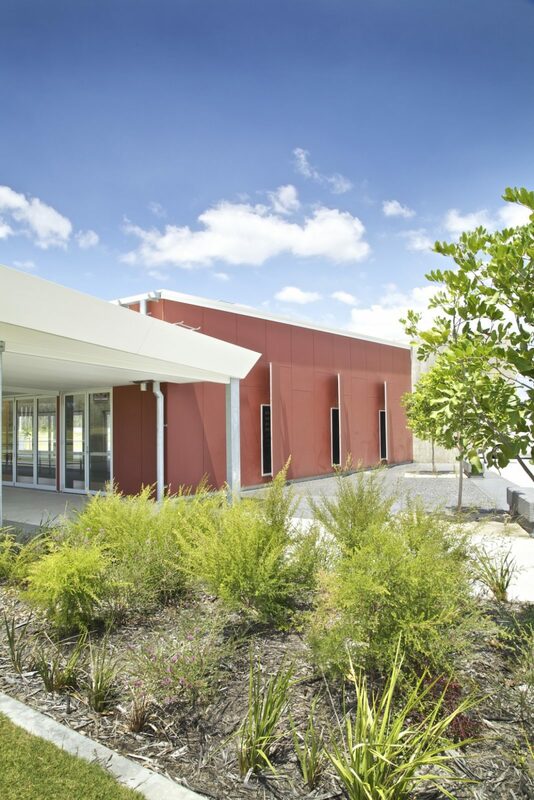 Originally perceived as a group of separate buildings, the design intent for AFL Burpengary in Brisbane was to provide a marker in the landscape as well as seeing the building types as a collective rather than separate entities. 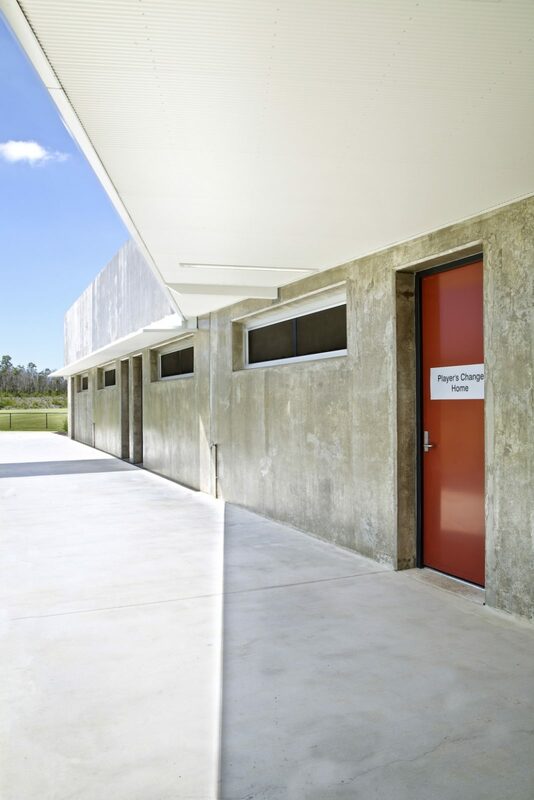 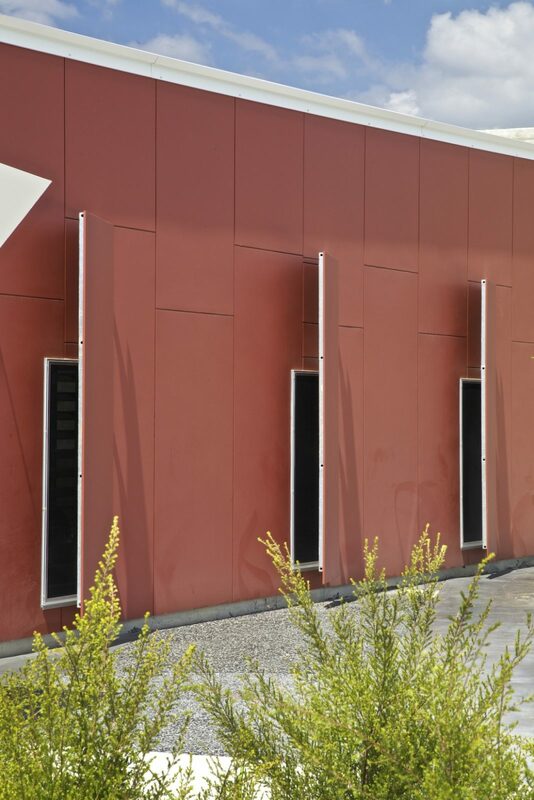 This was achieved by implementing a singular masonry spine wall that acts as a pinwheel for the arrival courtyard space, the change rooms, the clubhouse, the amenities and were the viewing platforms for the playing fields which were located either side of the wall. 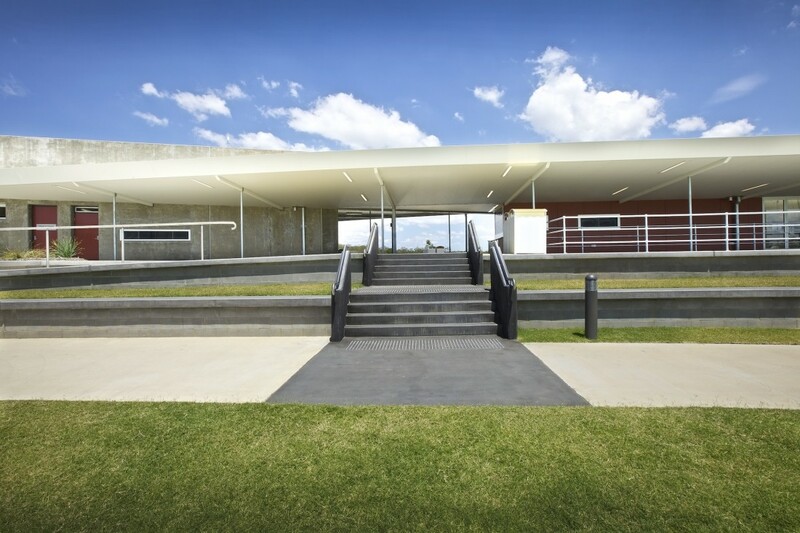 The strong linear nature of the wall and the raised viewing area is accentuated by the lightweight steel roof which hovers above. 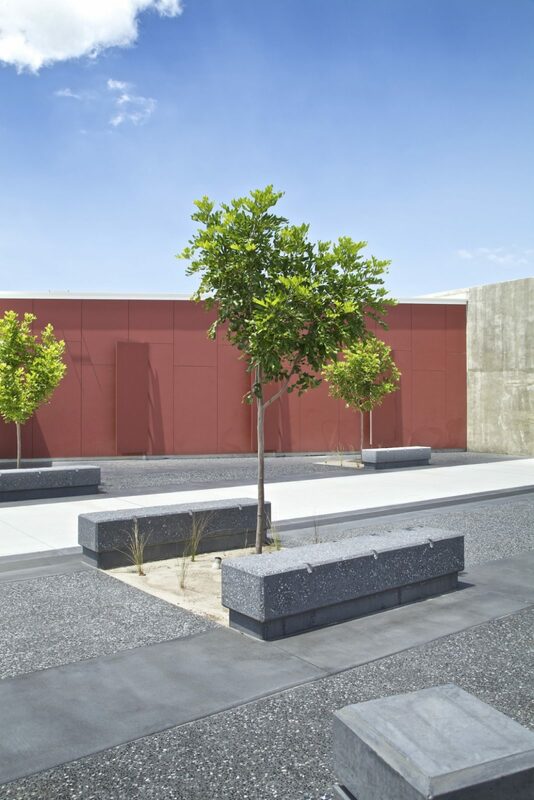 The low profile nature of the building is also a response to the horizontal landscape setting. 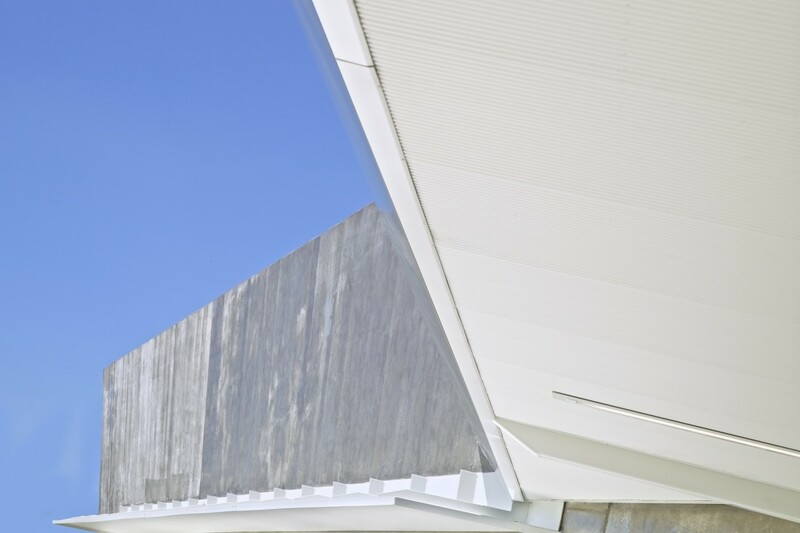 The masonry spine was also seen as a dynamic element that responded to the variety of uses that surrounded the facility. 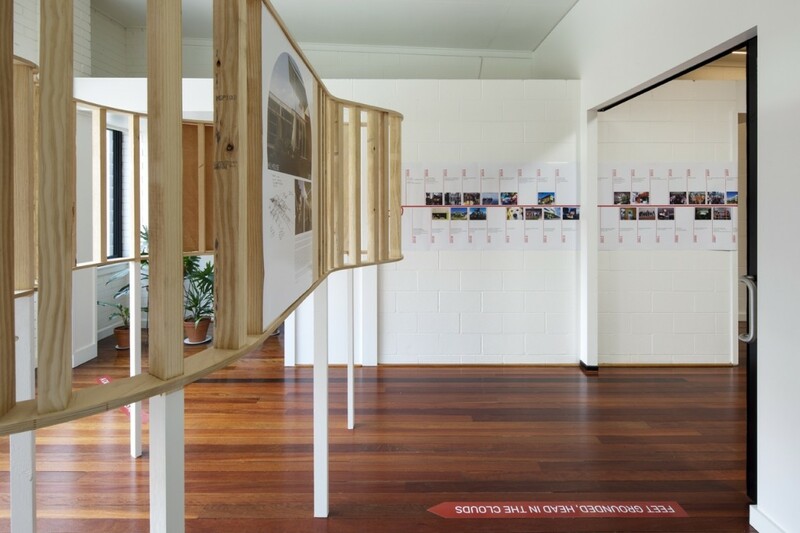 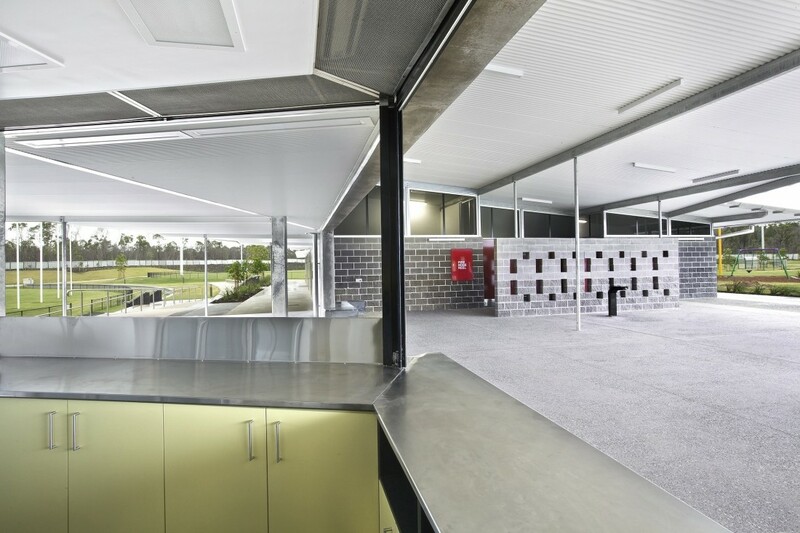 Whilst the wall physically and visually links the clubhouse and change rooms, the intersection is also seen as a gathering space for visitors and players and provides legibility to the playing field layouts and associated car parking. 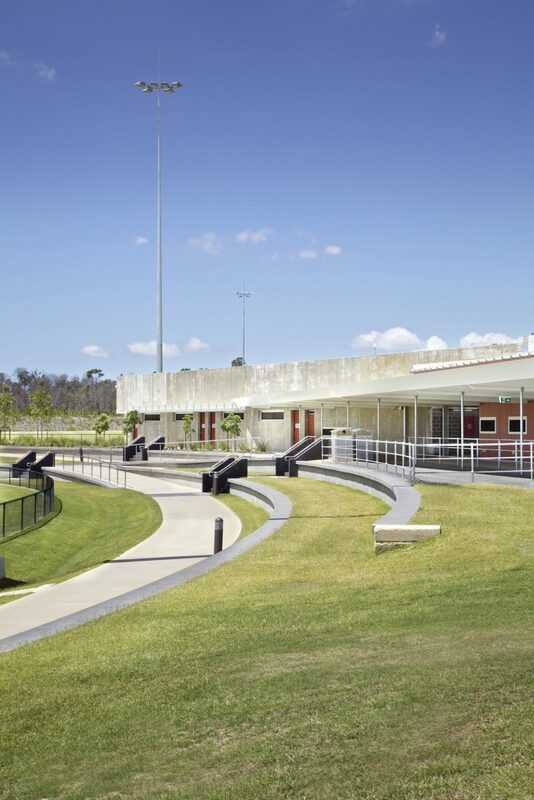 Every edge of the facility is activated with entry to a variety of internal spaces and amenities, circulation around the fields or places to sit and spectate. 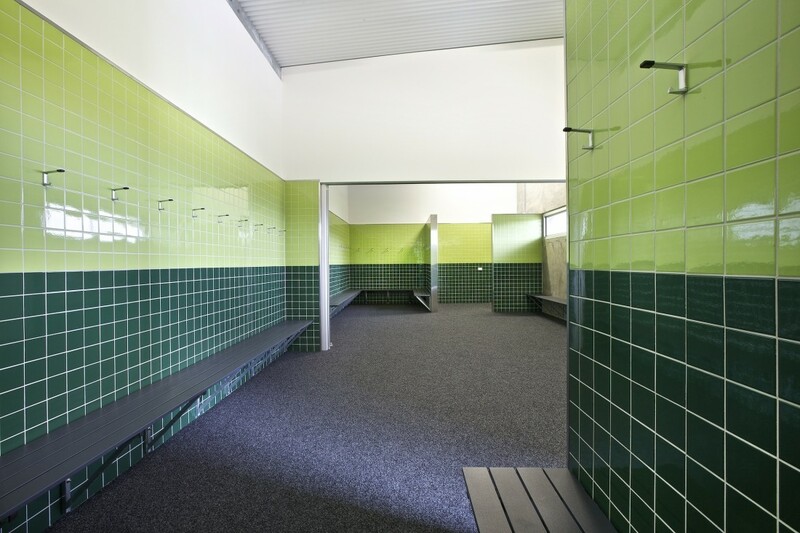 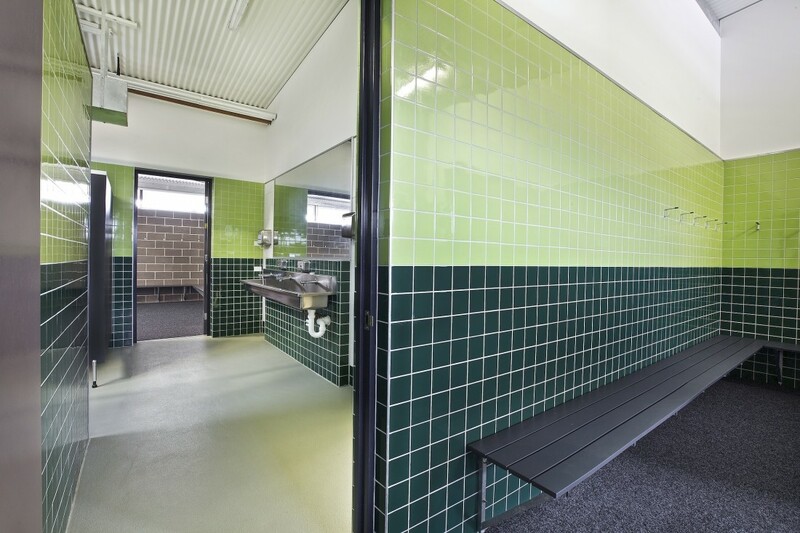 The walls of the change rooms and clubhouse finish short of the roof plane to further accentuate the horizontal nature of the building form. 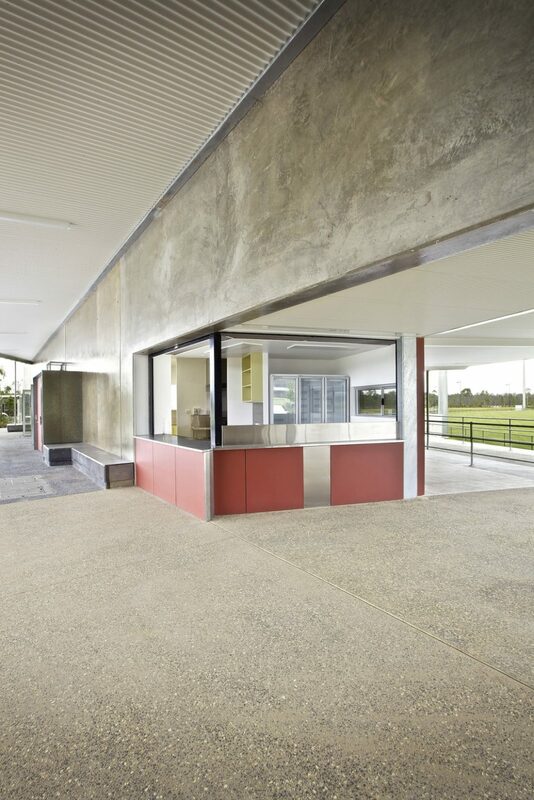 This also allows opportunities to provide natural daylight and cross ventilation of the internal spaces by passive means. 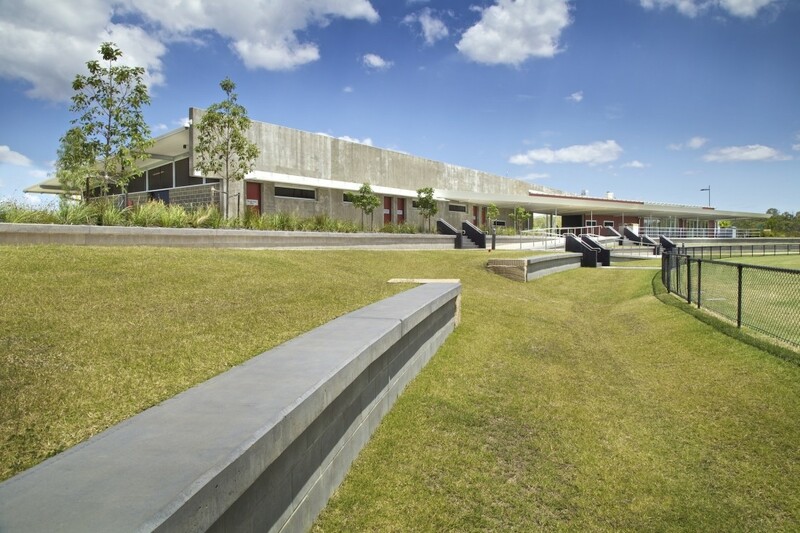 The use of unpainted raw materials was a deliberate way of providing a robust palette of building materials but was also a reference to the natural landscape in which the building was located. 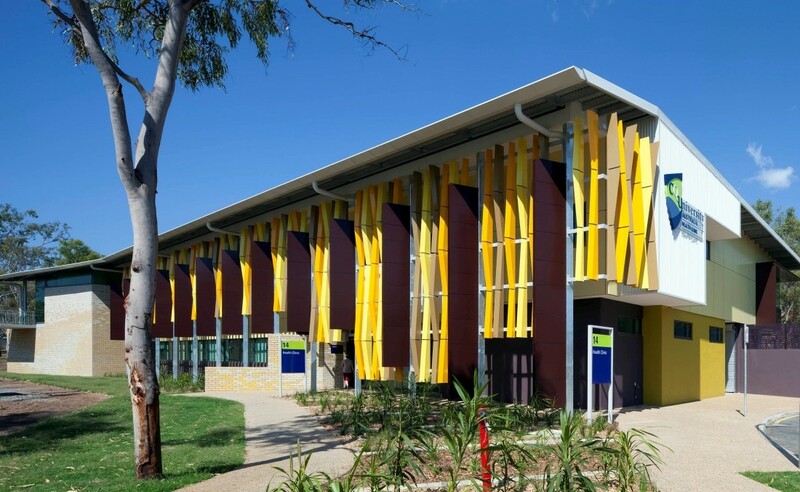 The solid masonry wall also acts as a thermal buffer for the various spaces, employing the properties of thermal mass to stabilise the indoor air temperature. 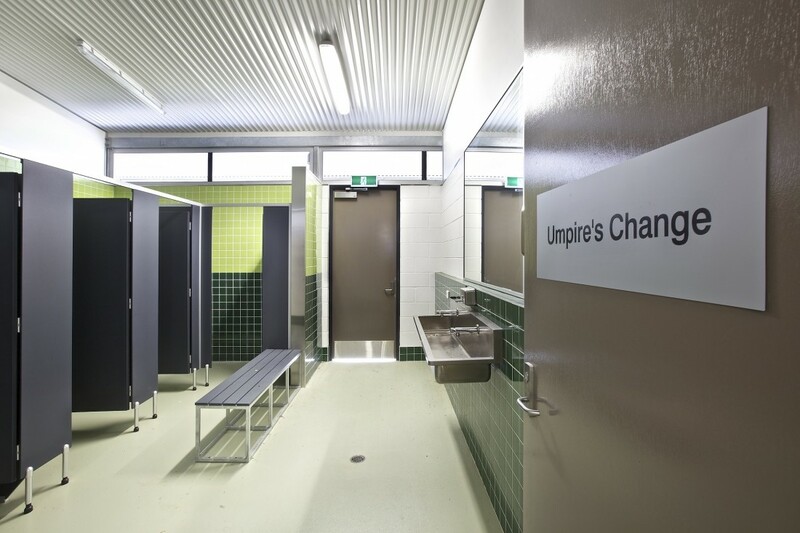 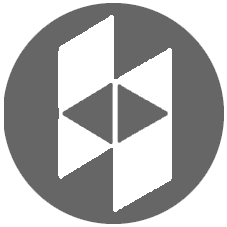 Future extensions or staging for the facility have also been considered that will eventually lead to a regional level facility usage.